Like a breath of fresh air - poetry that reads like prose. 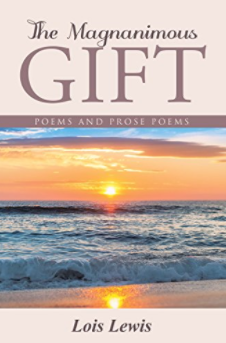 A blend of reportage and praise, the fifty poems in this first collection of verse by poet Lois Lewis is a celebration of the spirit, of nature, and of life. Topics range from the search for God, and the existence of the soul, to the unique beauty of animals, birds, fish, insects, plant life, and social issues, such as racial prejudice, abortion, and suicide.